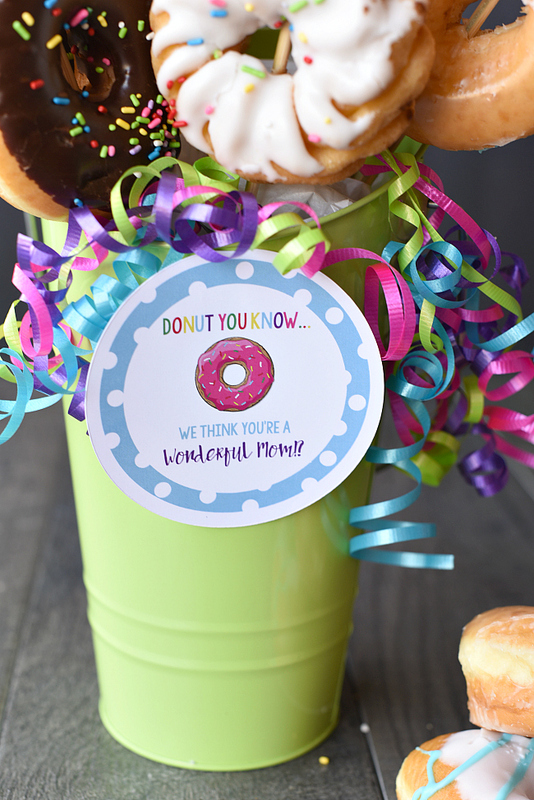 A Peek at the Fun: Nothing says happiness like a donut bouquet! Surprise a friend for her birthday, mom for Mother’s Day, your girlfriend for a special occasion…this is a perfect gift for any occasion! Mmmmmm….did you hear that? We just said Donuts. In a bouquet. Makes us hungry just thinking about it right now. We kind of feel like a donut bouquet is the perfect gift for any occasion! 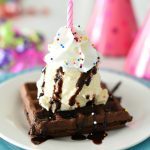 Got a birthday? 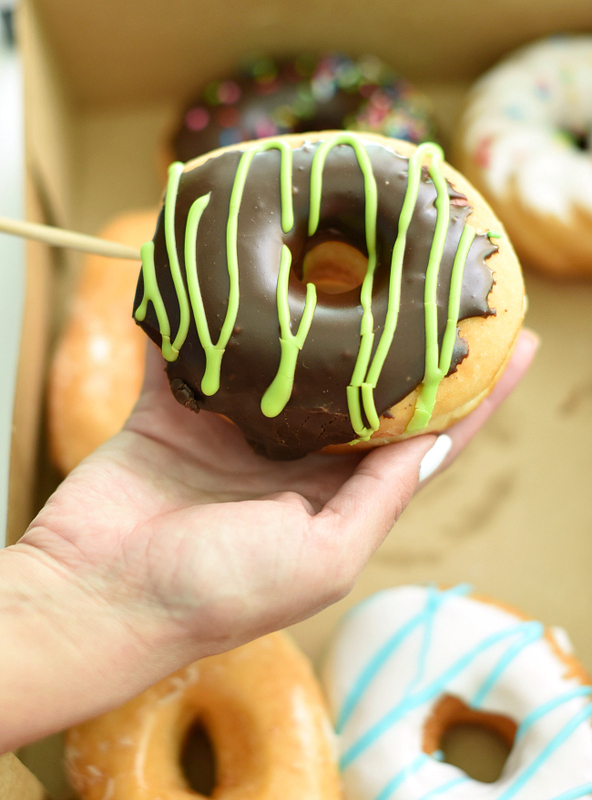 Donut Bouquet. Graduation? 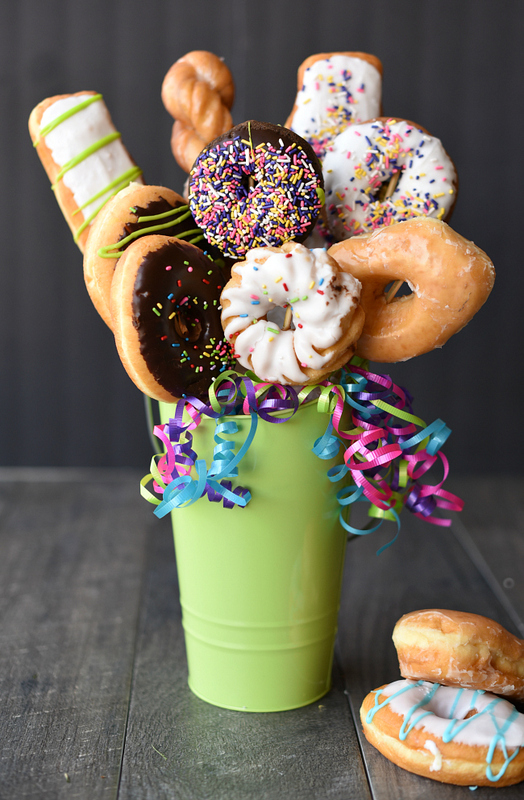 Donut Bouquet. Just want to make someone’s day? You got it! 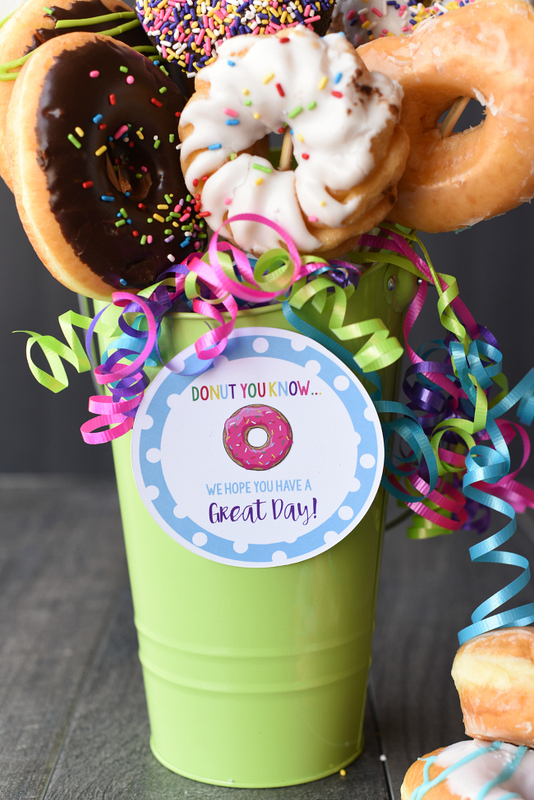 How about a nice Donut Bouquet?! Pure happiness people. Pure happiness. And easy to make! And fun to give. 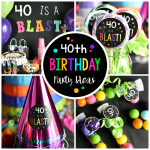 What occasion would you make it for? Cute right? 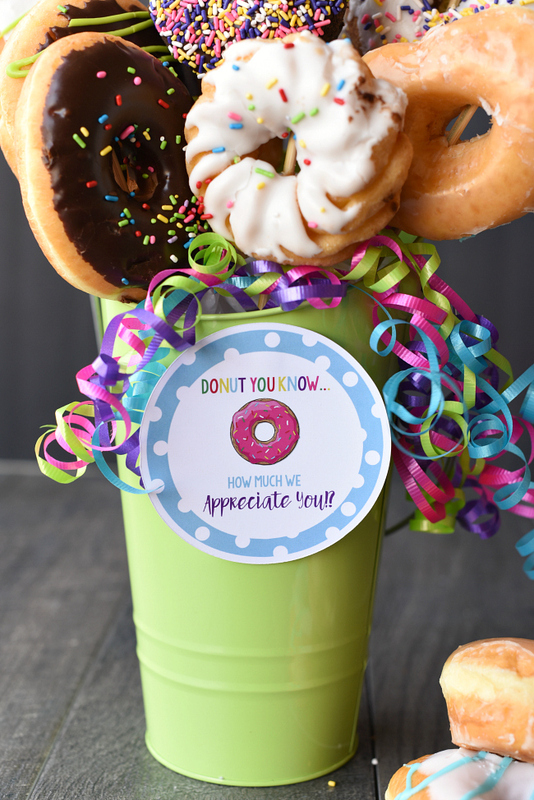 Let learn how to make a donut bouquet. 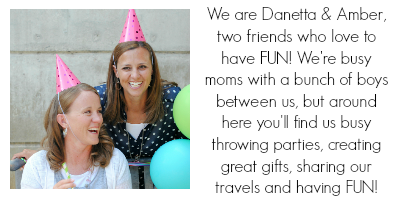 Because it’s fun for ALL occasions! Or teachers or to tell someone to have a great day or anything you want! We’ve got more tags and ideas below. 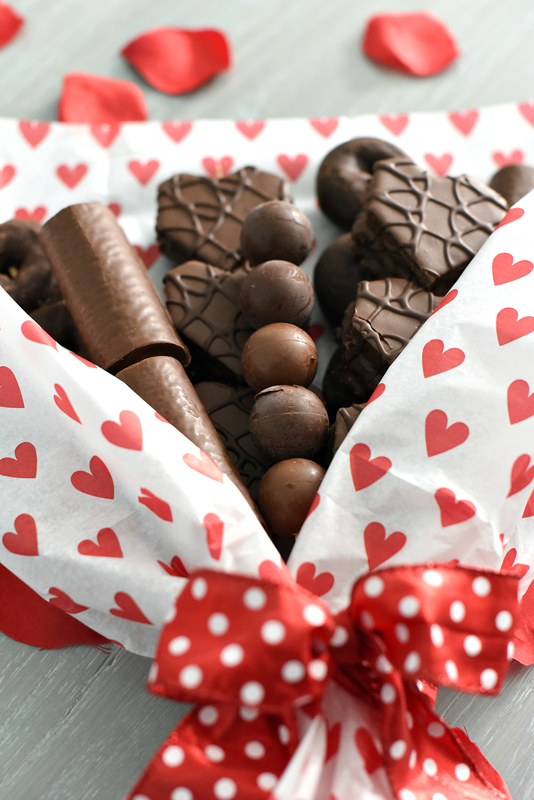 But first, want to know how to make a donut bouquet? Let’s make it! Donuts-any type. We tried to get some bright, colorful and fun ones. Sprinkles, frosting, just a fun variety. Styrofoam for the bottom of the bucket….OR, we used a ball of foil which worked well! 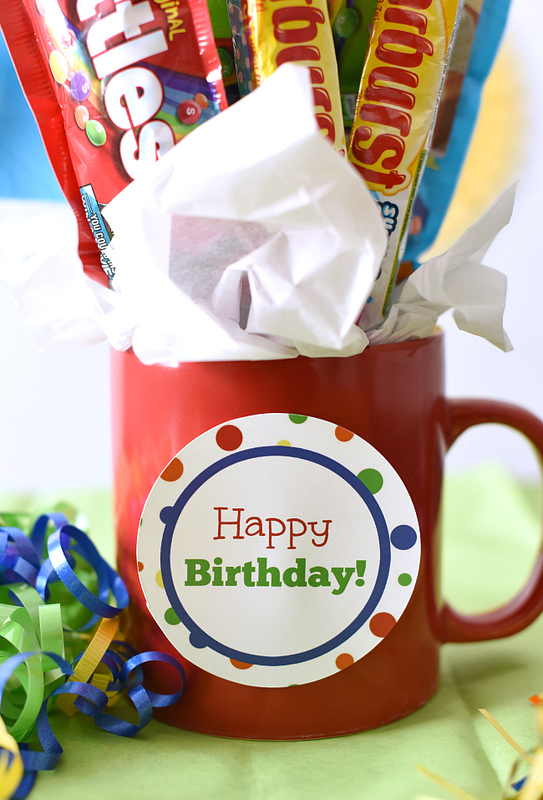 We started out by putting a ball of foil in the bottom of our bucket. Then we put some tissue paper on top of that to cover the foil. 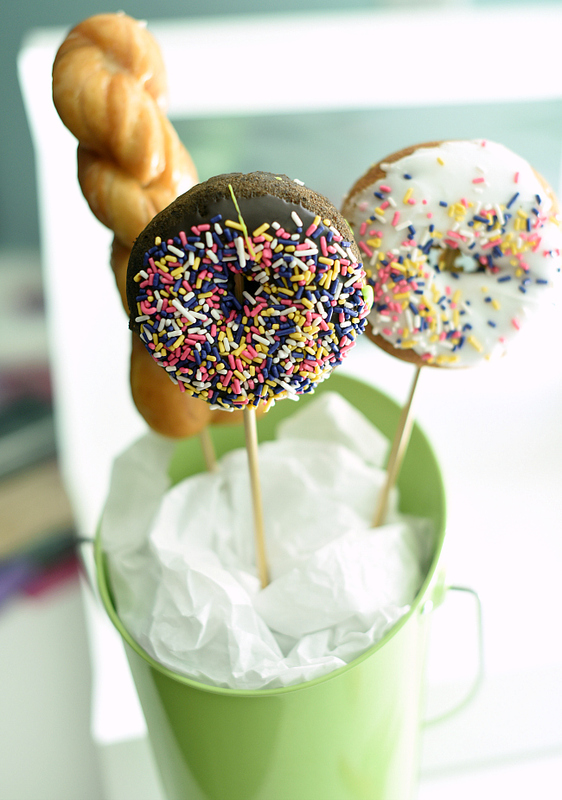 Then simply stick each donut carefully onto a skewer stick and gently press the stick down into the foil. 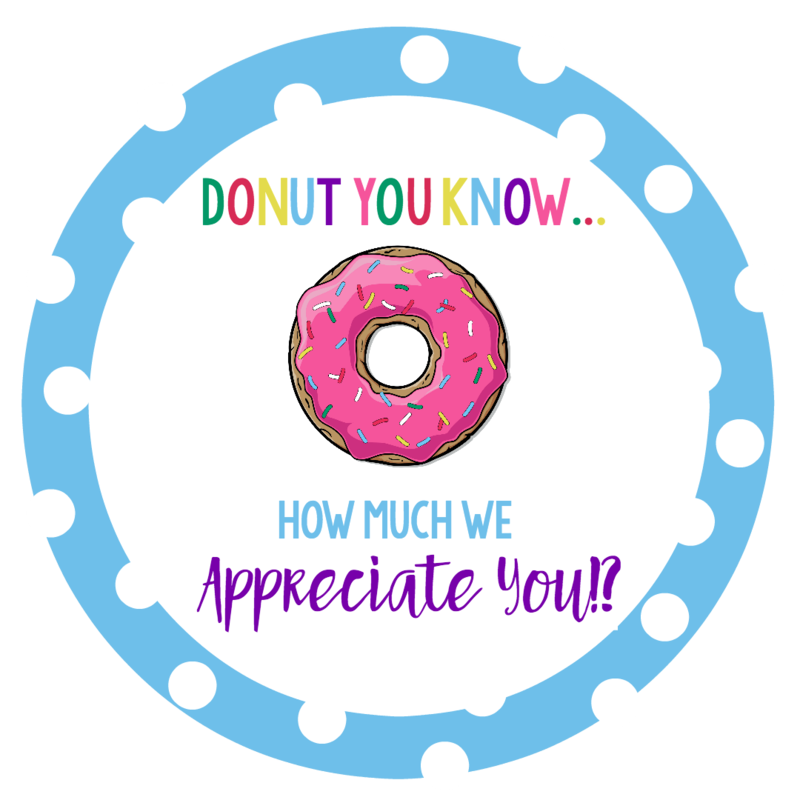 Add as many donuts as you want to make it full and fun! Now, if you want a cute tag to use for this, we’ve got a bunch! We’ve got one for birthdays, Mother’s Day, have a great day, teacher appreciation and a general thank you! You can right click and save these to your computer and then open in a program like Word or Pages, size how you want and print. Or, we’ve got a PDF with some of them on it that you can just print. 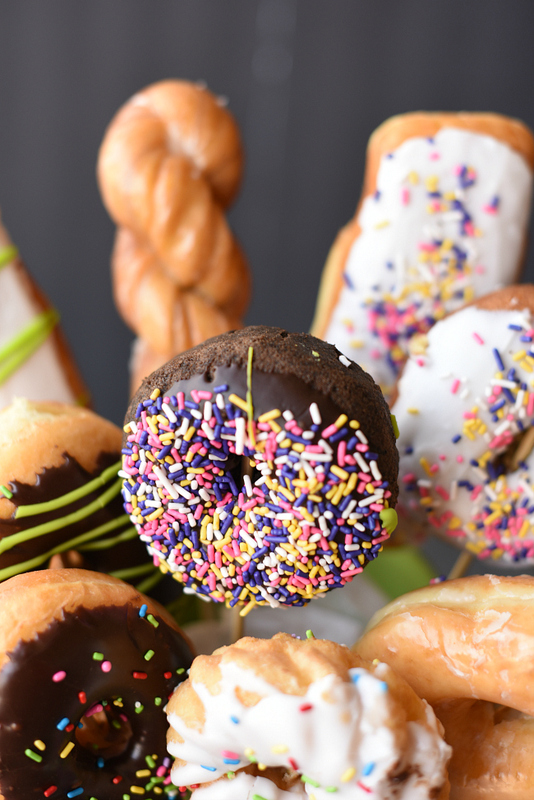 It’s a great day when you get to eat a Donut Bouquet right?! 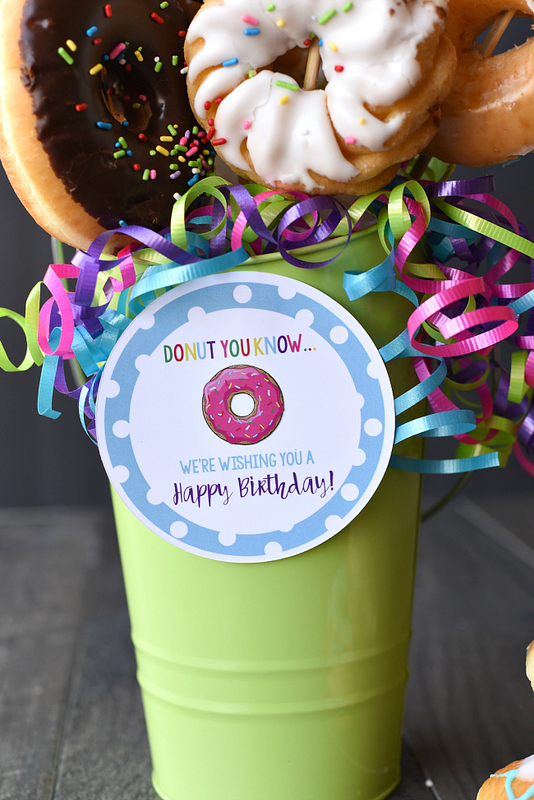 It’s easy to make a donut bouquet and a donut bouquet makes an AMAZING gift! This bouquet is just too dreamy 😍 I love it.. Please tell is there a way to cover them up ? Thankyou so much!! Do you even sell things like these ? Where can I find a bucket like this? 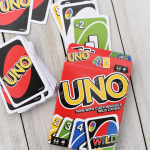 I looked at target and cant find any similar. Hmmm, try the dollar store maybe? 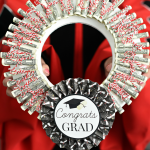 Or somewhere like Hobby Lobby could have something cute!